The title of this section almost sounds like Me, Myself and I which in some ways is how undiagnosed thyroid disorders can make you feel. Personally I had a long road to travel before I had my first accurate diagnosis. As my condition raised its ugly head a few times more my life was again sent into a spin in so many ways. So for any readers who may have a thyroid disorder, or perhaps think that they might have here are some of my personal experiences from over the years. This piece re personal experience may help and inform but you must remember it is written from a patient's perspective. I have learned a lot about my condition over the years but I am not a medical professional. Please bear this in mind and make sure that you contact an appropriate health professional with any related concerns. 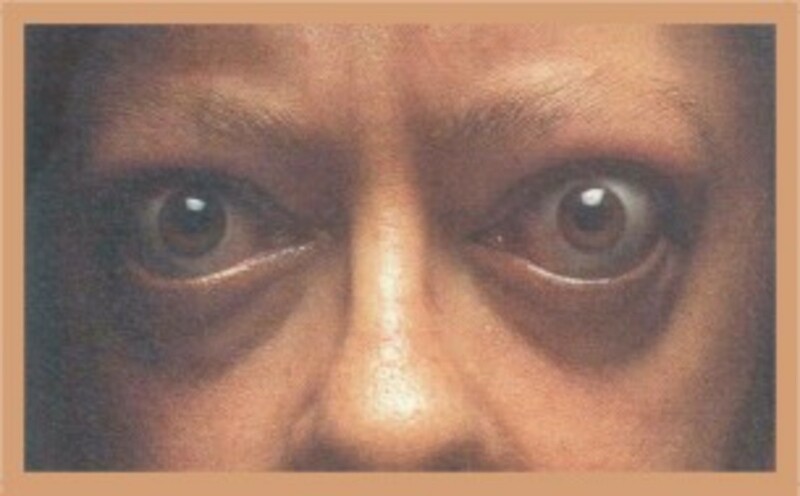 Thyrotoxicosis can cause the eyes to bulge. When I was a child my mum had a severe weight problem. As a tubby child I felt sure that I would simply grow and grow until I was huge. My Mum would always be on a diet but never seemed to lose any weight. In fact at one point in her life she was following a controlled diet and putting weight on. Our family doctor was dismissive of her problems and always said Mum was obviously eating more than she claimed. Eventually suffering from extremely high blood pressure she was hospitalized. Following a strictly regulated 800 calorie diet she still gained weight. Eventually she was diagnosed with an under-active thyroid gland and started on appropriate medication. Within three months she had halved her weight. Unfortunately a few weeks later she suffered a massive brain hemorrhage. She was 55-years-old and was left semi-paralyzed and unable to speak or function properly. She died three years later. I was 23-years-old when she died and had not really read or heard anything much about Thyroid disorders. A couple of years later I was taken very ill myself. I lost a huge amount of weight very quickly and could hardly eat a thing. My doctor considered anorexia and stress. I quit my job and slowly recovered at home. As my health returned to normal I resumed my working life. About ten years later I started to feel ill again. This time I thought I had cancer, like my father. I was thin, had a poor colour and was generally unwell. I felt sickly, nervous and twitchy all the time. I started to suffer from panic attacks and was almost housebound at one point. Each diagnostic test that came back negative left me more worried and my poor husband was distraught. The tests I underwent were for various types of cancer, a stomach ulcer and the like. At one point I was hospitalized for ten days but the outcome was no definitive results on any health problems. I was discharged from hospital and had a period of intermittent good health. "I suppose I should have checked your Thyroid Gland. That was a bit remiss of me"
And those were his exact words. So a blood test was carried out. Simple, easy and much cheaper than all of the other investigations. At that time patients waited around ten days for blood test results. So ten days later I finally had a diagnosis THYROTOXICOSIS, HYPERTHYROIDISM or an OVERACTIVE THYROID GLAND. I was referred to an endocrinologist. My doctor had already prescribed a Beta Blocker in order to ease the strain on my heart. This left me feeling calmer although not 100% better. I took this medication for a couple of months. "I bet you thought you were going mad, didn't you?" Well, yes, I had to agree with that. He also told me that thyroid disorders are often passed along the female line of a family, from mothers to daughters, for example. He thought that in the past my thyroid had swayed between over and under active which explained many of my weight problems. The endocrinologist said that treatment with radioactive iodine was not usually given if a woman's family was not complete, due to possible ensuing fertility problems. In the full daze of my ill health I had no idea what to say. I just wanted to burst into tears. It had taken a monumental effort to actually get out of my home and get to the hospital that day even though Hubby was with me all the way. In the end the consultant took the decision out of my hands and treatment began with a pill called Carbimazole. These tablets were very tiny and initially I took something like 20 of them a day. With regular blood tests the amount of pills was jiggled until a happy balance was achieved. I took these pills for two years and in that time my health improved and my weight rose. Unfortunately the tiny size I had become whilst I was ill was unsustainable but it was so nice to feel alive again. Unfortunately I had two more episodes of overactive thyroid gland before being persuaded by the endocrinologist to undergo radioactive iodine treatment. It seemed as if every so many years this condition would resurface especially if I was under stress. My endocrinologist could not understand my reluctance to have the treatment. He said that if my thyroid became under active it would be less damaging to me and easier for my physician to control. I could not explain what I was thinking as I felt foolish. It was being told that my thyroid gland would inevitably become underactive. Visions of my poor Mum filled my head. Added to that I had the strange thought that, if what was expected happened, namely that my thyroid became underactive, and I had to take thyroxine forever, what would happen if there was something such as a war and I could not get my medication! I underwent radio-active treatment in 1999 and within three months I became very ill.
My face swelled, my eyelids puffed over my eyes, I had lumps under my armpits and I was constantly freezing cold although it was high summer. My thyroid had become under active but unfortunately dramatically so. I never do things by half. These days I only have a thyroid blood test once a year unless I start to feel any symptoms. Occasionally the amount of medication I take needs adjusting but not very often. What finally persuaded me to have this treatment was the endocrinologist telling me that if my disorder kept reoccurring I would end up having to take Warfarin for the rest of my life. Heart problems sounded inevitable and so I bit the bullet. My experiences have taught me a couple of things. Obviously symptoms may vary. 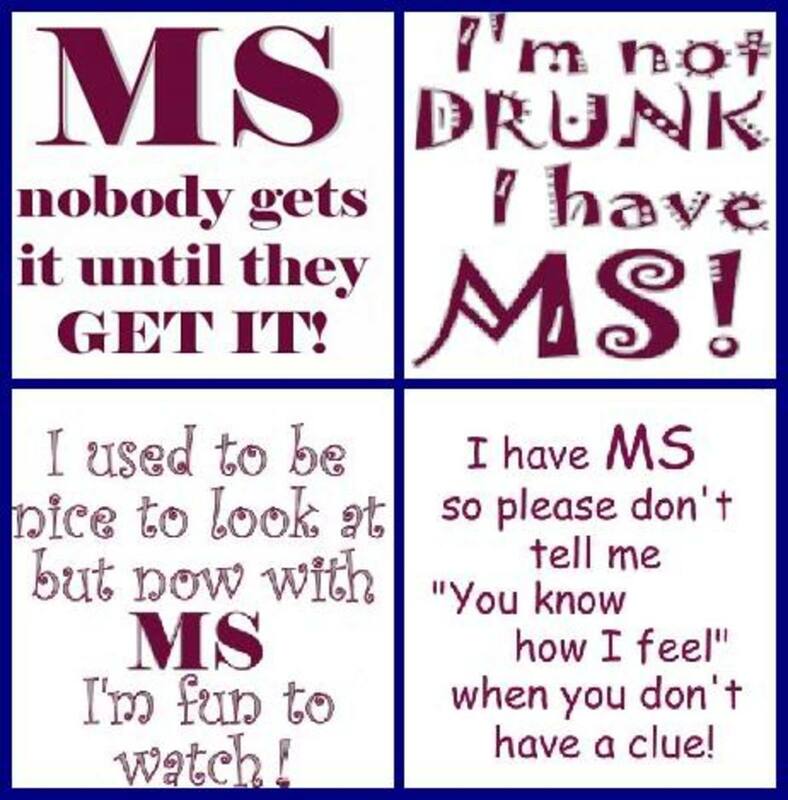 It will sometimes depend on how soon your condition is diagnosed. Diagnosis is by a simple blood test. My local health authority treat overactive thyroid disorders with Carbimazole alone. However some physicians give thyroxine as well as this medication. 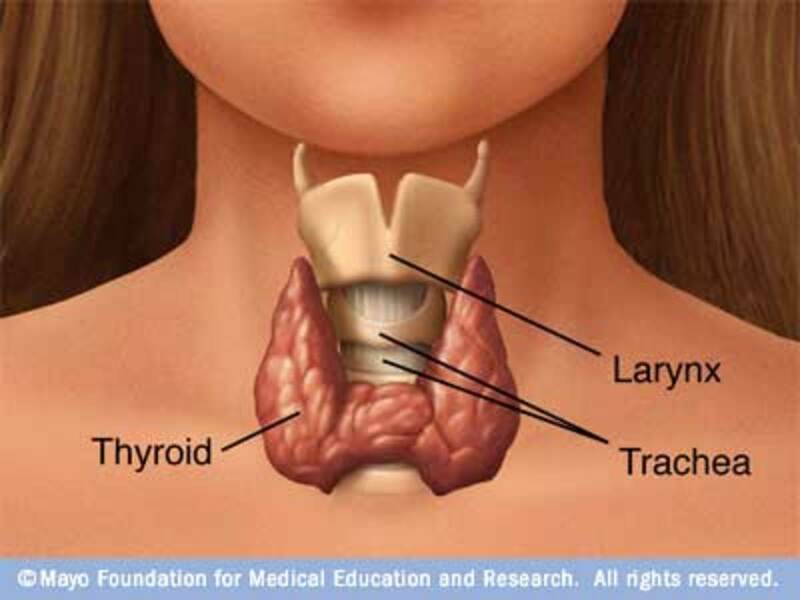 Surgery to remove all or some of the thyroid gland is a more radical treatment. It may only be offered in extreme cases. Radioactive iodine is usually felt to be a permanent but less intrusive treatment for an overactive thyroid disorder. I was told by some that my condition could return but my doctor tells me that on the contrary this treatment resolves Thyrotoxicosis. I attended the local hospital's nuclear medicine centre. A liquid is injected into your arm and after a short time you undergo an Ultra Sound Scan. Laying flat the USS takes images of your thyroid gland. This is to check that your thyroid gland has taken in the substance and so is capable of taking in the radioactive iodine. This Iodine is in tablet form. It was held in a test tube and dropped straight into my mouth, without being handled. I was given an instruction leaflet in order to protect myself and my family immediately following this treatment. For a while, afterwards, you are radioactive and must not share towels. You also need to avoid contact with children if possible. Having said all of that the treatment does not taste of anything or make you feel unwell. Many patients find that their thyroid may go underactive within a few months and looking out for any signs and, or, symptoms is sensible. 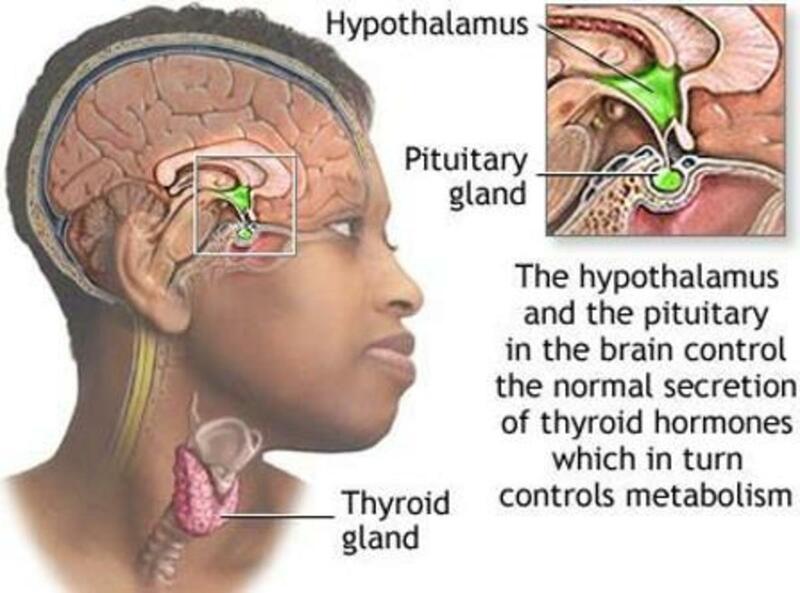 If you have an underactive thyroid gland you will need to take a thyroxine supplement daily. The correct amount is decided upon by the results of blood tests. In the U.K. currently prescriptions for all of your medication is free if you have a permanent thyroid condition though it is not automatic. You will need to get a claim form for your doctor to sign. This exemption will need renewing every five years. This has been a long read as my journey to good health took many years. 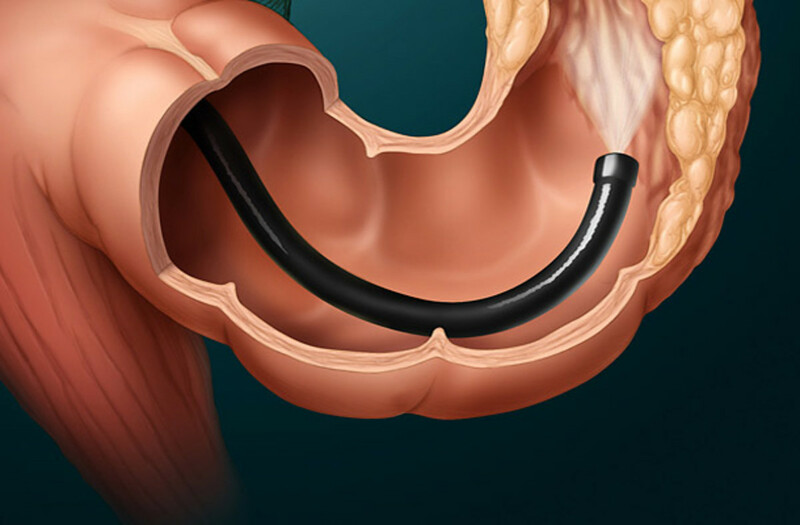 The symptoms can vary even for yourself with each medical flare up. My final episode of hyperthyroidism had totally different symptoms to those in the past. As I was older I put all of the changes I was experiencing down to the menopause. By the time I consulted a doctor my thyroid gland was well and truly out of control. The doctor told me that in effect this excess of thyroxine was poisoning me. No wonder I was so ill. Some foods are thought to aggravate Thyroid problems and smoking will definitely makes matters worse which is why I quit. Many years ago the thyroid gland and its disorders were not well understood. This meant that people were often thought to be crazy and I can believe that. As all that is needed, to check that your thyroid gland is functioning correctly, is a simple blood test, ask for one if you have any of the typical symptoms. It probably will be nothing but it is far better to catch such a condition sooner rather than later. This condition misdiagnosed or undiagnosed can wreak havoc on your whole life, and yet it could be easily treat. As it is on loan Suki I will have to ask the current person. I think though it was something like understanding your thyroid.What I liked was a) it was cheap and b) it was in plain English. There were different scenarios showing types of cases. I read Ann's story and thought blimey that's me. This was when my symptoms were different to before. If you ask your chemist he may be able to get you it. Thanks for your reply Ethel - do you remember the title of the book by any chance? I find it's sometimes easier to access info on the printed page where I can mark notes on it for reference. It is good that you have written and posted this hub. Very informative. I appreciate your efforts. And, I wish you quality health. Suki good luck. When I was really confused I bought a basic book from my local chemist. At around £2.50 it became priceless. So many people I know have, in recent years, developed thyroid probs and this book seems to be permanently on loan to someone or other. The main advice though is if people do still not feel well, to return to the doctor for investigations. I told a work colleague this sometime ago and she pressed her doctor. 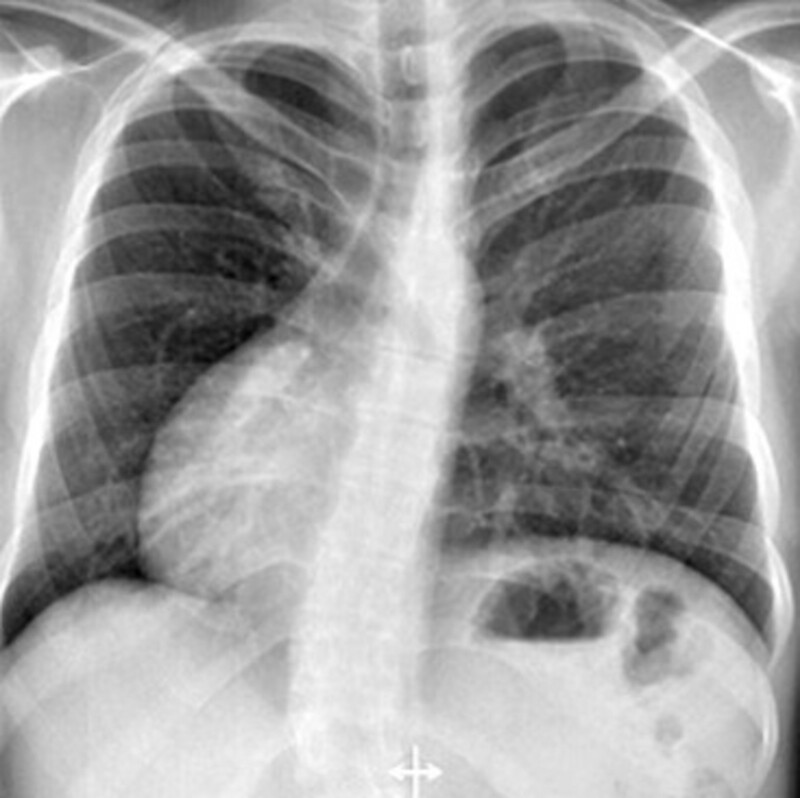 It turned out she had thyroid cancer and needed urgent treatment. To this day she says that I saved her life, which of course I didn't. Once your condition is under the appropriate treatment you should be fine Suki so try not to woryy. I have recently been diagnosed with both under-active thyroid AND possible thyroid eye disease, confused? -well I am. This was in the UK and now I'm moving permanently to Spain so I'm dreading having to try to get the balance of meds right when I don't speak the language fluently. I shall investigate some of your links above to arm myself with as much info as possible. Thanks for stopping by rmcrayne. It is amazing just how many people have these problems. Not just the disorder but the poor diagnosis and treatment. Let me know when your hubs are all completed and I will add links to this one thanks. Ethel, thanks for bringing attention to the frustrations of thyroid disease. I was undiagnosed for years of course, before being diagnosed, but undertreated in 2003. My story later to come. That will be my part 3 of How Western Medicine Failed Me, and I am now working on part 2! In my experience, most doctors are still pretty uneducated in thyroid disease. I got the "crazy treatment", and I'm a (non-physician) medical provider myself. I was shocked to be treated so dismissively. I was certain that I was under-treated for thyroid, and was right of course. After several years with no satisfaction from physicians, I turned to Alternative Medicine providers. My favorite resources are Mary Shoman and drrind.com. Thanks guys. Hello-if you still feel unwell ask to have your bloods checked again. Some people's, like mine, swing about a bit before settling over or under. Yes Ioua. I hope other people are diagnosed more quickly than I was. I guess the rule of thimb should be if you still do not feel well go back to the doctor, and insist on further tests etc. I was diagnosed with under active thyroids and they kept sending me to scans and blood tests. Then all over sudden they said I haven't got it but I think I still got it. 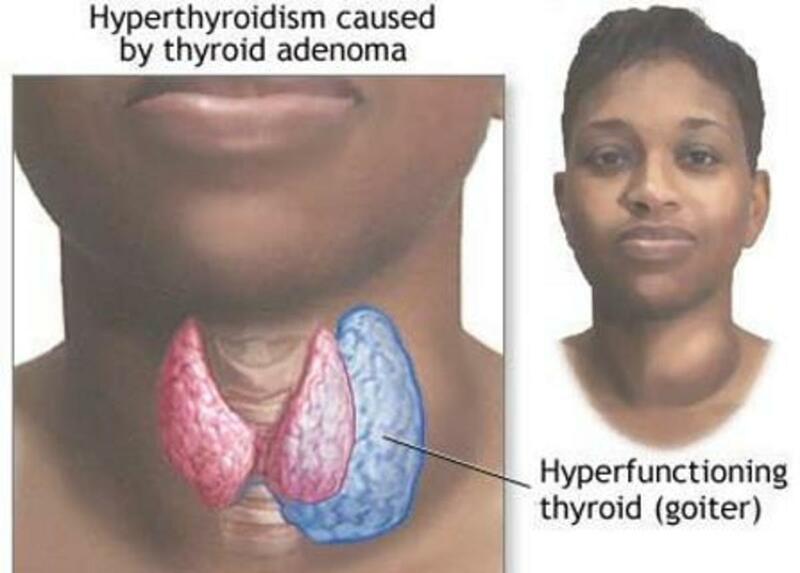 My mother also had problems with thyroids and I don't know which one. Anyway, that is enough of me. Thank you for writing such a detailed article.